On February 18, the IOC announced Russian curler Alexander Krushelnytsky tested positive for meldonium, a banned substance believed to improve circulation. His status was in limbo for days after he and his wife Anastasia Bryzgalova won bronze in mixed doubles curling. NBC reports Thursday that the medal will be returned. Krushelnytsky, competing with the Olympic Athletes from Russia after Russia was banned from the Olympics due to widespread doping, waived his right to a hearing with the Court of Arbitration for Sport (CAS). The athlete has agreed his doping samples contained meldonium but denies knowingly taking the substance. The Russian Olympic Committee (ROC), in a statement, said the medal will be returned. But it also looked to place blame on someone besides the athlete, noting it plans to launch an investigation into how the substance got into Krushelnytsky's system. "The results of the doping samples taken at the Olympics are not challenged," the statement reads. "The follow-up investigation will be carried out jointly by the law enforcement agencies, the Russian Curling Federation, and the athletes to establish all the circumstances of this case." The CAS has disqualified Krushelnytsky's results and has withdrawn his Olympic credential. The ruling noted, "The athlete has accepted a provisional suspension beyond the period of the Games and reserved his rights to seek the elimination or reduction of any period of ineligibility based on 'no fault or negligence' following the conclusion of the Games." 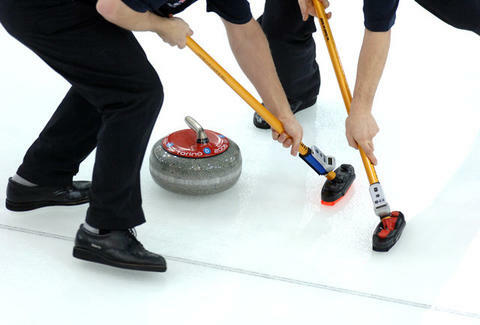 The length of Krushelnytsky's suspension will be determined by the World Curling Federation. This decision comes as the International Olympic Committee (IOC) considers reinstating Russia before the closing ceremonies. That means the Olympic Athletes from Russia would become Team Russia again and would be permitted to walk under the Russian flag during the closing ceremonies. The ROC has made a push to meet the IOC's criteria for being reinstated, which were set out back in December. "One of [the criteria] is the payment of the amount of $15 million for the development of the global anti-doping system and the facilitation of cooperation in this area between the IOC, the [World Anti-Doping Agency], and the international sports federations," the Committee's statement read. "As of now, the ROC has paid this amount in full." Norwegian curlers Magnus Nedregotten and Kristin Skaslien will likely be elevated to the bronze medal, according to CBS.